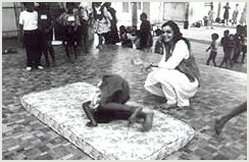 On invitation from the Embassy of India, Anita Ratnam and Arangham Dance Theatre were at Bangkok in June 2003 to perform a showcase of their work and do an outreach programme. 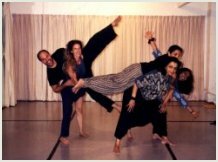 Anita and her dancers conducted a workshop at Srinakarinwirot University, Bangkok, to a mixture of professional dancers and students. "I enjoyed watching your dance performance and attending your workshop held recently in Bangkok, Thailand. The innovation and creativity apparent throughout your work was a delight."